“How can people in this country have confidence in the negotiation process for the nation’s second LNG project when the Prime Minister does not seem to be aware of the actual size of this venture." Opposition Leader Patrick Pruaitch said today it was disappointing that Prime Minister Peter O’Neill and Kumul Petroleum Managing Director Wapu Sonk made misleading statements at the PNG Petroleum Summit. Both national daily newspapers quoted Mr O’Neill as telling conference delegates in his keynote opening address that the Papua LNG Project “would produce close to 2.7 million metric tonnes per annum” when the actual figure is twice that amount. Mr Pruaitch said:“How can people in this country have confidence in the negotiation process for the nation’s second LNG project when the Prime Minister does not seem to be aware of the actual size of this venture. Mr Sonk, who will be responsible for the government’s 22.5% equity in Papua LNG, appeared to be even more ill-informed. Mr Pruaitch said this was utter nonsense from the man who now has overall responsibility for the government’s 19.6% equity stake in the PNG LNG Project. “Mr Sonk statement suggests he is incapable of handling Grade 6 mathematics because for him when you double 60 million tonnes you get 180 million tonnes. 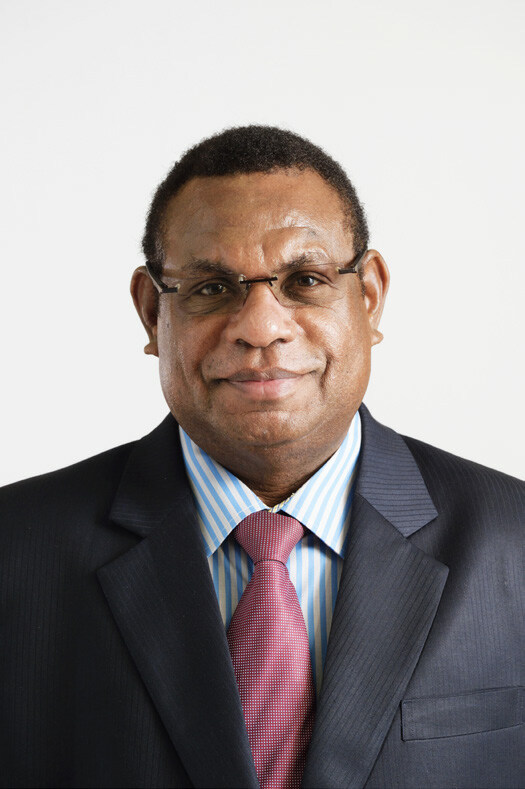 “How can he not know that the PNG LNG Project, in which Kumul Petroleum is the third biggest equity holder, this year will export approximately nine million tonnes of LNG and not the fictitious numbers he alludes to. Mr Pruaitch said dissemination of this misinformation at the country’s premier national petroleum conference, which was funded by Kumul Petroleum, was truly disturbing. Unfortunately,people attending the conference would also have seen a full-page newspaper advertorial by the Chief Secretary, Mr Isaac Lupari, which added to the confusion. In his advertorial,Mr Lupari talks about the need for early revenue from the Papua LNG Project so the government does not need to fund landowner and provincial government benefits before revenue flows from the project. “It is common knowledge,” Mr Pruaitch said, that there will be no revenue coming from Papua LNG until the project commences export operations by around 2024. “According to the Prime Minister and Mr Sonk by the time exports start, the joint venture would have spent K44 billion constructing the LNG production facilities. “Mr Lupari now suggests landowners and provincial governments cannot receive direct benefits during this construction phase when major disruptions will displace and affect thousands of villagers throughout the project impact area.